Gonda city is located in Uttar Pradesh, India. The city has many famous education centers such as schools, colleges, study points etc. to provide best education to the students. As per the demand and need of technical education Government has opened ITI’s in various cities. 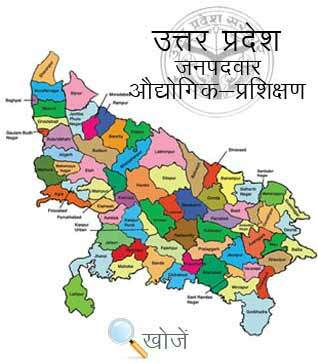 Gonda has 3 Govt. ITI’s and 9 Private ITI’s. In Uttar Pradesh, Vyavasayik Pareeksha Parishad (www.vppup.in) is responsible for conducting the entrance examination for admission to various trade courses in ITI’s. ITI or Industrial Training Institutes is a post-secondary school in India constituted under DGET (Directorate General of Employment and Training) to give training in various trades both technical and non-technical. Students have broad choice in over 130 specialties like Building Maintenance, Carpenter, Marine Engine Fitter, Plumber, Welder, Fitter, Computer Operator, Photographer, Electrician, Surveyor, Fireman, Counseling Skills, Insurance Agent, Tourist Guide, Dress Making, Finance Executive etc. to get employment after completing ITI. There are 6 months, I year and 2 years courses with the minimum age requirement of 14 years. Qualification is matriculation to apply for these courses. Admission procedure is started every year in August. Students can also visit website www.upiti.in as well to save their valuable time. It is a comprehensive database of information to the students regarding admission, important notifications, results, online downloading application forms, counseling etc.